The Greek melodic metallers INNERWISH will release their new album entitled "InnerWish" on March 18, 2016 in Europe and North America via Ulterium Records. The artwork of the album was created by Felipe Machado Franco [Blind Guardian, Rhapsody Of Fire, Xandria] and the design was done by Jan Yrlund [Korpiklaani, Apocalyptica, Manowar]. "This is the first album with our new lineup, and we hope this lineup will be unchanged for many years since we now feel stronger, more confident and sure about ourselves than ever before. For those reasons we chosed 'InnerWish' as the title of our new album, because it represents us in the most exact way. We are very proud of this album. It might sound very common, but it's the truth for us: this is the best InnerWish album so far! Heavy, aggressive, modern, melodic and diverse at the same time, with all the classical InnerWish elements, combined with some new ones. It might have been 6 years since the release of 'No turning back' but all the difficult times we've been through made us stronger and the result is this new, fifth album of InnerWish. We are back for good!" The US heavy metal band MILLENNIAL REIGN just released a music video for the track "Way Up High". Their new album "Carry The Fire" was released on October 30th in Europe and North America through Ulterium Records. We're proud to present the digital version of "Ulterium Records Label Sampler 2015" that contains 10 songs that was released through Ulterium Records during 2014 and 2015. The physical edition contains 13 songs and will be included for free in all orders placed in our store. The all-star progressive metal band WAKEN EYES just released a music video for the track "Palisades". Their debut album "Exodus" will be released on October 30th in Europe and North America through Ulterium Records. The Greek heavy metal band DIVINER just released a lyric video for the track "Come Into My Glory" online. Their debut album "Fallen Empires" will be released on November 20th in Europe and North America on CD, LP and digital. The vinyl edition of "Fallen Empires" is strictly limited to 300 copies worldwide. The melodic metal band Signum Regis just released a lyric video for the track "Lost And Found" online. Their new album "Chapter IV: The Reckoning" will be released on November 20th in Europe and North America through Ulterium Records. The US heavy metal band MILLENNIAL REIGN just released a lyric video for the track "Men Stand Alone". Their new album "Carry The Fire" will be released on October 30th in Europe and North America through Ulterium Records. The all-star progressive metal band WAKEN EYES just released a lyric video for the track "Back To Life". Their debut album "Exodus" will be released on October 30th in Europe and North America through Ulterium Records. Ulterium Records are proud to announce the signing of the Greek heavy metal band DIVINER to the label. Their debut album "Fallen Empires" will be released on November 20th in Europe and North America on CD, LP and digital. The vinyl edition of "Fallen Empires" is strictly limited to 300 copies worldwide. "Fallen Empires" is a very strong heavy metal album that keeps the legacy from the genre but at the same time sounds new and inspired. Perfect for fans of bands like Accept, Dio, Judas Priest and Iced Earth! Mastered by Peter In de Betou [Arch Enemy, Opeth, Amon Amarth]. The melodic metal band Signum Regis will release their new album entitled "Chapter IV: The Reckoning" on November 20th in Europe and North America through Ulterium Records. "Chapter IV: The Reckoning" was mastered by Jens Bogren [Symphony X, Opeth, Arch Enemy] and the artwork was created by Jan Yrlund [Delain, Apocalyptica, Korpiklaani]. 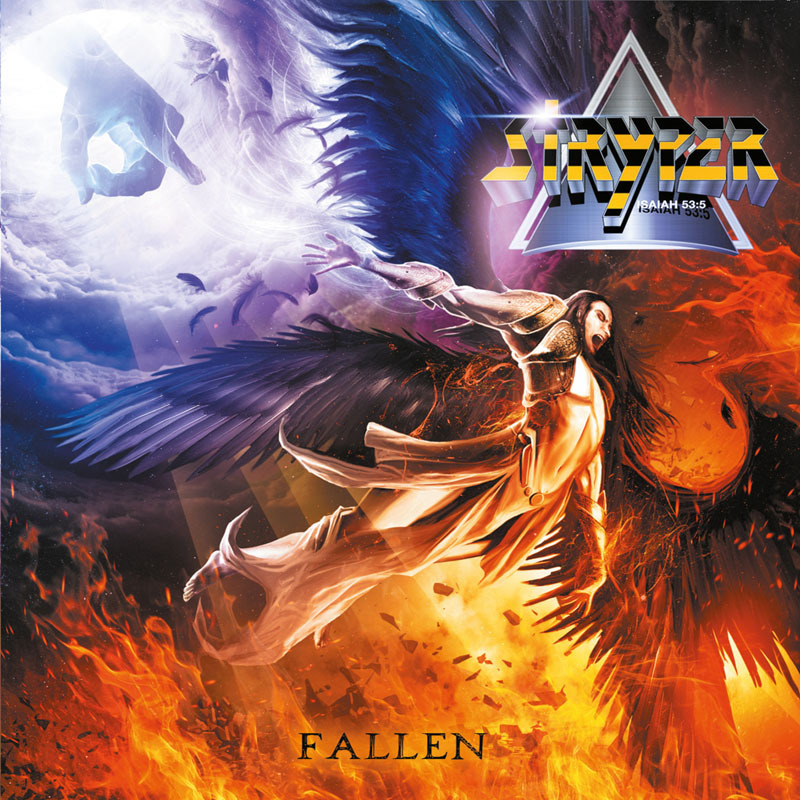 Ulterium Records are proud to announce the release of a limited 2LP gatefold vinyl edition of the upcoming STRYPER album "Fallen". A deal was inked with Frontiers Records and the release dates are set to November 13th for Europe and December 4th for North America. The edition is strictly limited to 1554 copies worldwide. 389 copies comes with white discs and 1165 copies with standard black discs. 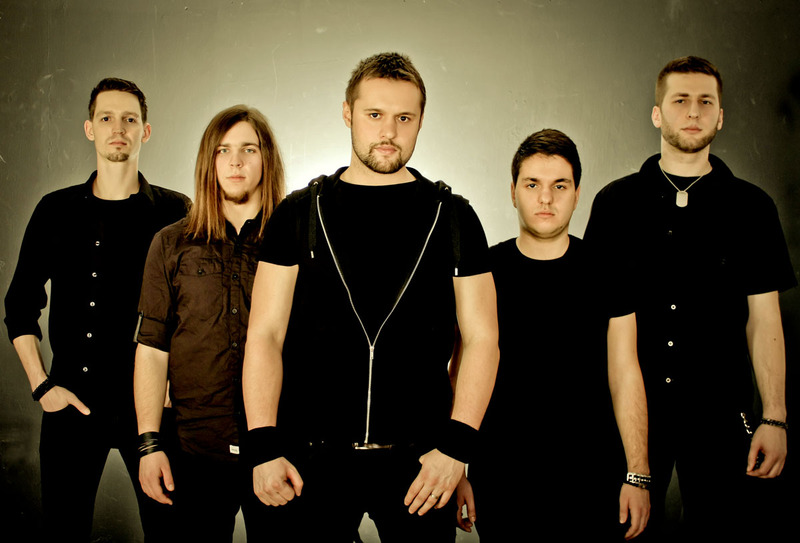 Ulterium Records are proud to announce the signing of the all-star progressive metal band WAKEN EYES to the label. Their debut album "Exodus" will be released on October 30th in Europe and North America. “Exodus” is a very impressive and diverse album that will surely appeal to fans of progressive metal, progrock and melodic metal. The album has a great mix of catchy melodies, challenging instrumental parts and epic cinematic movements that will surely capture the attention of the musical community. Everything comes together perfectly in the title track that ends the album with its 18 minutes long epic filled with melodies, progressive parts and a good dose of feeling. "Exodus" was mixed and mastered at Fascination Street Studios [Opeth, Symphony X, Kreator] in Sweden and the layout was made by Jan Yrlund [Delain, Korpiklaani, Apocalyptica]. Ulterium Records are proud to announce the signing of the US heavy metal band MILLENNIAL REIGN to the label. Their new album "Carry The Fire" will be released on October 30th in Europe and North America on CD, LP and digital. The vinyl edition of "Carry The Fire" is strictly limited to 300 copies worldwide. Millennial Reign was formed as a solo album project by ASKA bassist, Dave Harvey and the self-titled debut album was released independently in 2012. After new members joined Millennial Reign the decision was made to make Millennial Reign a full band, rather than just a recording project. "Carry The Fire" was mixed and mastered at Nomad Studio [King Diamond, Solitude Aeternus, Absu] and the artwork was created by Felipe Machado Franco [Blind Guardian, Iced Earth, Theocracy]. Fans of Iron Maiden, Queensryche, Judas Priest and Crimson Glory will not be disappointed with this new album. "Carry The Fire" should be in any collection of melodic or traditional heavy/powermetal. The greek melodic metallers INNERWISH entered the studio on the 5th of August and began recording their fifth studio album, for an early 2016 release through Ulterium Records. Drums are being tracked at Devasoundz Studios (of SEPTIC FLESH fame) in Athens, Greece, with Fotis Benardo (ex- SEPTIC FLESH drummer and current SIXFORNINE vocalist) handling the recordings. The as-yet-untitled new album, is the first with the two newest members of the band, George Eikosipentakis on vocals and Fragiskos Samoilis on drums. Regarding the musical direction of the new material, the band stated: “This time things worked a bit differently, still maintaining the basic core. New members, fresh ideas were blended to our music characteristics and we believe this is the more diverse album we have ever created. Yet powerful, melodic, heavy, lyrical and full of energy. All the INNERWISH elements are still here, but expanded in a way that came naturally through this long and difficult period, during which we were composing and trying to guarantee the best possible result. In the end though, we are proud with these new songs, the sound of INNERWISH of today and feel confident that you will love them too! Let’s roll the dice again”. Songtitles set to appear on the album include “Broken”, “Zero Ground”, “Through My Eyes”, “Serenity”, “Roll The Dice” and “The Sins Of The Past”. INNERWISH’s latest album, “No Turning Back”, was released in May 2010 via Ulterium Records. The melodic metal band WITHIN SILENCE just uploaded a video to YouTube that shows how the bands drummer Peter Gacik prepares for a show and at the same time stays fit. Athens, Georgia-based melodic metal band Theocracy is happy to announce that original drummer Shawn Benson will record the drums on their highly anticipated fourth album. Benson played drums on 2011's As the World Bleeds and 2008's Mirror of Souls, as well as the 2013 re-release of Theocracy's self-titled debut album. The band are in the early stages of recording, and are excited to showcase Benson's unique style on their upcoming release, which will be their third on Swedish label Ulterium Records. Below is studio footage of Benson playing one of the new songs. Theocracy recently returned from a brief tour in Scandinavia, including their first performance in Sweden, with Halcyon Way drummer Ernie Topran filling in on the drums. Former drummer Patrick Nickell quit Theocracy last November after recording the Christmas single "Night of Silence,” and the band wishes him well in his future endeavors. No decision has been made regarding a permanent replacement. The melodic metal band SIGNUM REGIS just released a music video for the track "Come And Take It" online. Their new EP "Through The Storm" was released on May 8th in Europe and on May 12th in North America through Ulterium Records. 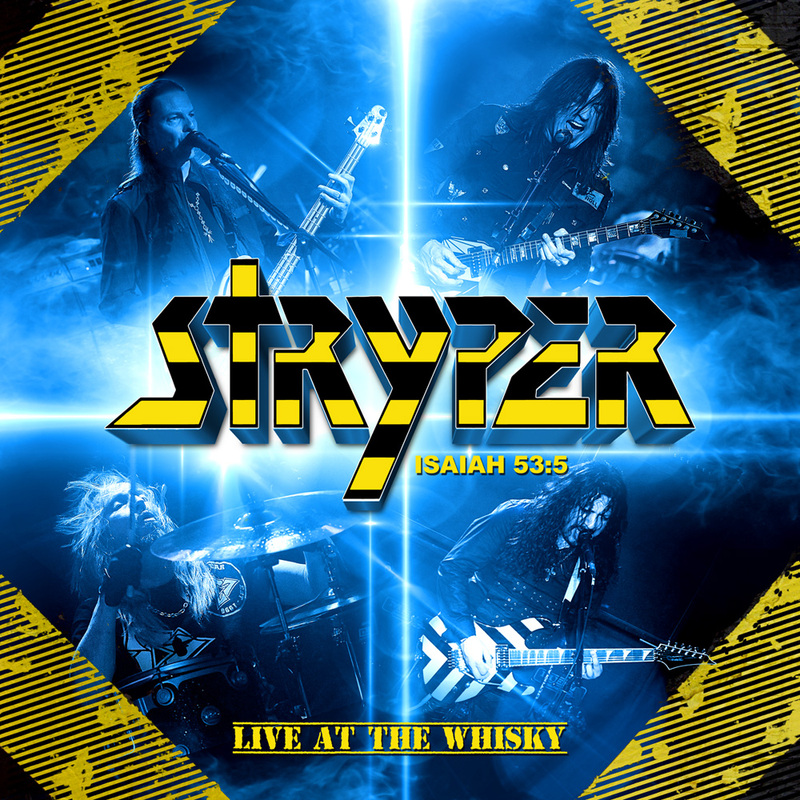 Ulterium Records are proud to announce the release of a limited double gatefold vinyl edition of the STRYPER live album "Live at the Whisky". A deal was inked with Frontiers Records and the European release date is set to August 7th. The edition is strictly limited to 300 copies worldwide. The vinyl edition features new artwork created by Jan Yrlund of Darkgrove Design. We're proud to present the brand new music video for the track "Silent Desire" from WITHIN SILENCE! Their upcoming debut album "Gallery of Life" will be released on May 8th in Europe and on May 12th in North America. SIGNUM REGIS just released a music video for the track "Living Well" online. Their upcoming EP "Through The Storm" will be released on May 8th in Europe and on May 12th in North America. The symphonic metal band Sleeping Romance have posted studio footage from the recordings of the "chamber music version" of the track "December Flower" online. "December Flower [Chamber music version]" is available in the bands latest digital single "Fire & Ice", available at iTunes, Amazon, Spotify, Bandcamp etc. SIGNUM REGIS just released a lyric video for the track "My Guide In The Night" online. Their upcoming EP entitled "Through The Storm" will be released on May 8th in Europe and on May 12th in North America through Ulterium Records. 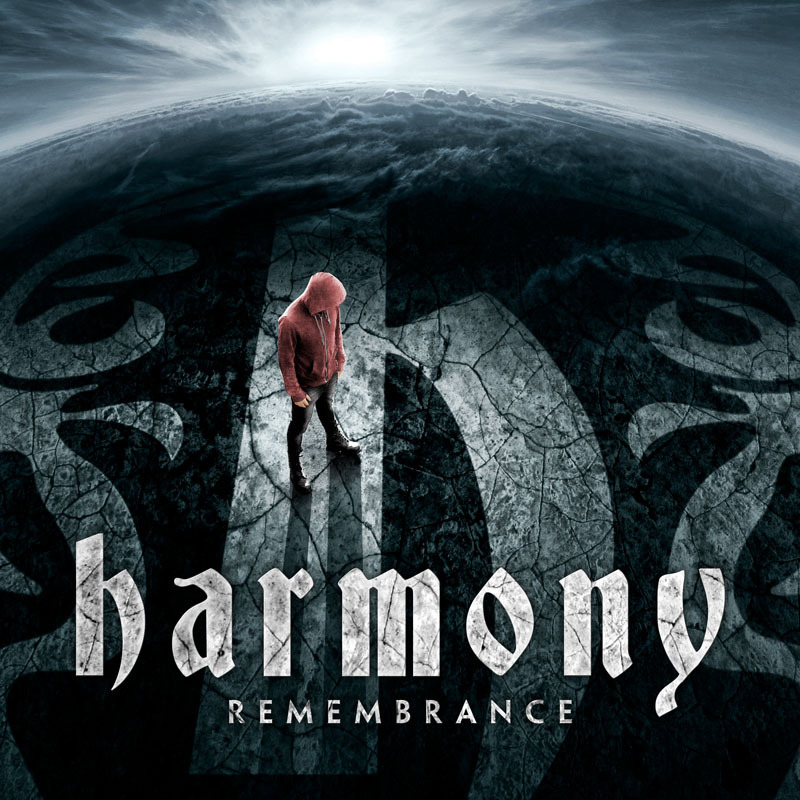 The Swedish melodic metal band Harmony will release a new EP entitled "Remembrance" on May 22nd in Europe and on May 26th in North America through Ulterium Records. Ulterium Records are proud to announce the release of a limited 12" vinyl edition of the upcoming IMPELLITTERI album "VENOM". A deal was inked with Frontiers Records and the release dates are set to May 29th for Europe and July 7th for North America. The edition is strictly limited to 500 copies worldwide and includes an insert with lyrics. 350 copies comes with a standard black disc and 150 copies with a white disc. 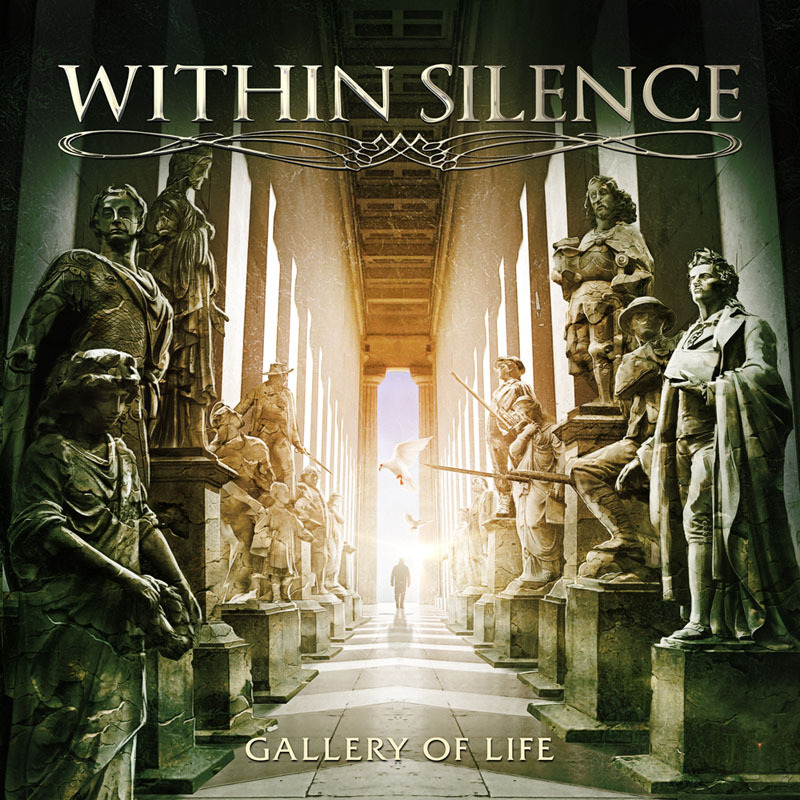 "Gallery of Life" can be pre-ordered at the Ulterium Records Store. We're really excited to let you know that the debut album from Worldview is finally coming out, in May! Due to differencies in the vision for the album, we won't be releasing the album through Ulterium Records. We are still friends with the guys though and we will work with them and their new partners when it comes to distribution and promotion of the album. An official announcement regarding release dates, samples etc. will be made during the coming week. Keep your eyes and ears open! The melodic metal band Signum Regis will release a new EP entitled "Through The Storm" on May 8th in Europe and on May 12th in North America through Ulterium Records. There are four new tracks on the EP, as well as a re-recorded version of “All Over The World” from their debut album and a cover medley of the Yngwie Malmsteen classics “Vengeance/Liar”. "Through The Storm" shows that Signum Regis is a band that is constantly developing and improving everything from song-writing and musicianship to production and the visual part of the band. With this EP and the full-length album that will be released later this year, Signum Regis will surely win over many new fans in the melodic metal scene. The mastering of "Through The Storm" was handled by Jacob Hansen [Volbeat, Amaranthe, Evergrey] and the artwork was created by Jan Yrlund [Delain, Apocalyptica, Korpiklaani]. We recently signed a young, promising melodic metal band and we'll release their debut album in May! More details will be revealed in March. Check out a short audio teaser from the album below. Enjoy! The symphonic metal band Sleeping Romance have released a video for their new single "Fire & Ice" online. "Fire & Ice" is available as a digital single and it also includes two additional tracks: a "cinematic version" of "Fire & Ice" as well as a re-recorded version of the track "December Flower" from their debut album "Enlighten". The digital single is available at iTunes, Spotify and Bandcamp. Sleeping Romance will embark on a European tour in March. You'll find all dates below. The melodic metal band BLACK FATE have released a music video for the track "Rhyme of the False Orchestra" online. The track comes off their new album "Between Visions & Lies" that was released on November 28th in Europe and on December 2nd in North America through Ulterium Records. The video was directed by K. Besios and Jimmy Pats. 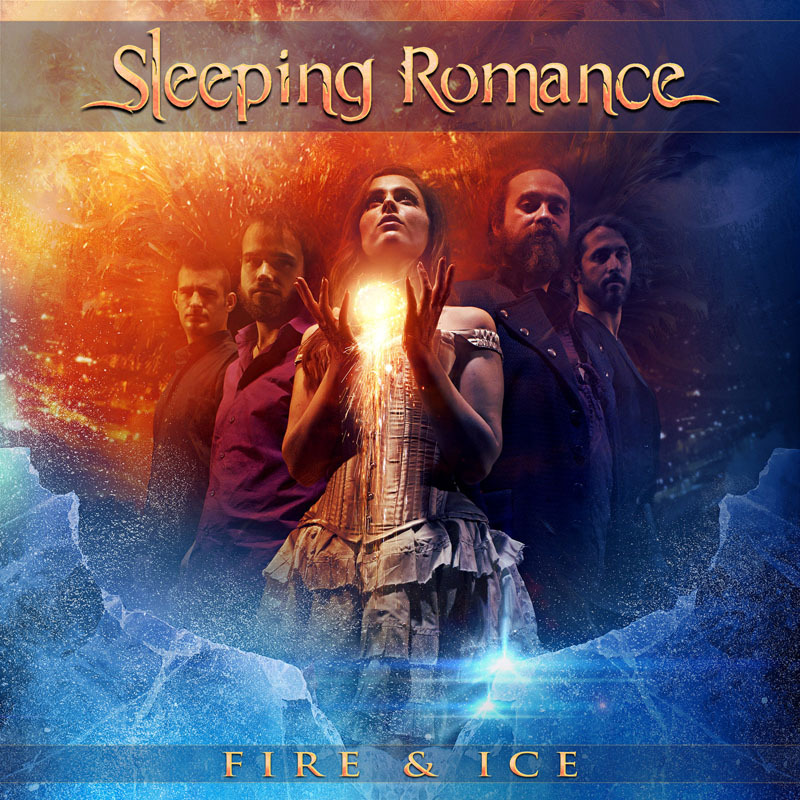 The symphonic metal band SLEEPING ROMANCE have just released a brand new digital single, entitled "Fire & Ice". The digital single also includes two additional tracks: a "cinematic version" of "Fire & Ice" as well as a re-recorded version of the track "December Flower" from their debut album "Enlighten". The digital single is available at iTunes, Spotify and Bandcamp. The Swedish melodic metal band HARMONY just released a lyric video for the track "Inhale" from their up-coming album "Theatre of Redemption". "Theatre of Redemption" will be released on November 28th in Europe and on December 2nd in North America through Ulterium Records. The melodic metal band BLACK FATE just released a lyric video for "Lines in the Sand", the first single from their up-coming album "Between Visions & Lies". The single is also released digitally and can be purchased at iTunes, Amazon etc. "Between Visions & Lies" will be released on November 28th in Europe and on December 2nd in North America through Ulterium Records. The Swedish melodic metal band HARMONY just released a lyric video for "The Window of My Soul", the first single from their up-coming album "Theatre of Redemption". The single is also released digitally and can be purchased at iTunes, Amazon etc. "Theatre of Redemption", the up-coming album from the Swedish melodic metal band HARMONY will be released on November 28th in Europe and on December 2nd in North America through Ulterium Records. The opening track "The Window of My Soul" will be released as a digital single late October. "Theatre of Redemption" features Daniel Heiman [ex. Lost Horizon, Heed] on vocals on all tracks. The album was mixed by Fredrik Nordström and Henrik Udd at Studio Fredman [At The Gates, In Flames, Hammerfall] and mastered by Thomas "Plec" Johansson [Scar Symmetry, Watain]. The strong and diverse songs, the emotional and technical guitar playing by Markus Sigfridsson and the fantastic vocals provided by Daniel Heiman brings Harmony up to the same level as the biggest bands in the melodic metal genre. Just listen and you will see. Follow Harmony into the Theatre of Redemption..
Harmony released their debut album "Dreaming Awake" through Massacre Records in 2003 that except the founding members Markus Sigfridsson [Darkwater, 7 Days] and Tobias Enbert [Darkwater, Empire 21] also featured Henrik Båth and Magnus Holmberg from Darkwater as well as Andreas Passmark [Royal Hunt, Work of Art, W.E.T., Narnia]. The follow-up album "Chapter II: Aftermath" was released in 2008 through Ulterium Records. Kristoffer Gildenlöw [ex. Pain of Salvation] performed all bass on the album, and Daniel Heiman [ex. Lost Horizon] performed guest vocals on the track "Inner Peace". "Between Visions & Lies", the up-coming album from the Greek melodic metal band BLACK FATE will be released on November 28th in Europe and on December 2nd in North America through Ulterium Records. Led by the incredible vocals from Vasilis Georgiou and the technical playing from guitarist Gus Drax, Black Fate will surely gain attention in the scene with their new album "Between Visions & Lies" that could be described like a mix between Kamelot, Iron Maiden, Dream Theater and Conception. The album was mastered by Erik Tordsson [Antestor, End of September] at Solid Mix Studios. The Swedish melodic metal band HARMONY have uploaded a video on YouTube that reveals the line-up for their new album that will be released later this year through Ulterium Records. More information regarding the album will be released during the coming month. Georgia-based melodic metal band Theocracy is excited to announce the addition of drummer Patrick Nickell to the lineup. Patrick is originally from Nashville, TN, and brings 13 years of drumming experience to the band. His power and progressive metal background is a perfect fit for Theocracy, and the band is thrilled to see where this new musical union leads them. Theocracy first met Patrick several years ago when he was a member of Nashville's Oblivion Myth, and when the time came to begin searching for a new drummer, he was one of the first candidates they auditioned. It was immediately apparent to everyone that he was the perfect fit, both musically and personally. He has the skills to faithfully excecute all of the older material, while bringing his own brand of power, finesse and flair. To offer the fans a small glimpse of what he can do, the band recorded a live in-studio performance of the As the World Bleeds track "Nailed", which can be seen below. Theocracy's first live performance with Patrick will be a private show for the Make-A-Wish Foundation in late August, followed by Midweek Mayhem at the prestigious ProgPower USA festival in Atlanta, GA, September 10. Ulterium Records are proud to announce the signing of the Greek melodic metal band Black Fate to the label. Their as-yet-untitled new album will be released during fall 2014 and more details will be announed soon. Led by the incredible vocals from Vasilis Georgiou and the technical playing from guitarist Gus Drax, Black Fate will surely gain attention in the scene with their new album that could be described like a mix between Kamelot, Iron Maiden, Dream Theater and Conception. The symphonic metal band Sleeping Romance have uploaded an acoustic performance video of the track "Finding My Way" online. The track comes off their debut album "Enlighten" that was released on November 1st in Europe and December 3rd in North America through Ulterium Records. The melodic metal band Signum Regis are proud to announce their new vocalist: Mayo Petranin. "Mayo Petranin has been with us as a guest singer since the last autumn. We played several gigs together, did a lot of rehearsing and spent a quite a bit of time together. During those months, we were able to tune in to the same vibe musically, we got to know each other and became friends. Being so happy with Mayo's work and his interpretation of our songs, we are now naturally moving forward to the next step: Mayo is now officially the singer and frontman of Signum Regis." The latest Signum Regis album "Exodus" was released late 2013 through Ulterium Records. The album feat. guest vocals from Michael Vescera [ex. Yngwie Malmsteen, Loudness], Matt Smith [Theocracy], Lance King [ex. Balance of Power], Göran Edman [ex. Yngwie Malmsteen] and more. Signum Regis are currently working on new material, and will hit the studio later this year to record the follow-up to "Exodus". The symphonic metal band Sleeping Romance have released a video for the track "The Promise Inside" online. The track comes off their debut album "Enlighten" that was released on November 1st in Europe and December 3rd in North America through Ulterium Records. 18.12.2013 - CHARITY SINGLE "COLLIDE & SPARK" RELEASED! Ulterium Records is proud to announce the release of "Collide & Spark", an all-star charity track for sale with 100% of the income going to The Bridge Bunch, an organization dedicated to serving the homeless population of Nashville, TN, in the United States. The song, which is almost seven minutes in length, is being released under the banner Project Aegis, and was composed by Theocracy vocalist and songwriter Matt Smith. It features vocals by Nils K. Rue [Pagan's Mind], Henrik Båth [Darkwater], Elin Redin [End of September] and Smith, as well as a guitar solo by Markus Sigfridsson [Darkwater, Harmony]. The artwork was created by Felipe Machado Franco [Blind Guardian, Rhapsody of Fire] and designed by Markus Sigfridsson. "This is such a cool opportunity to help make a difference in a small way", says Smith. "Ninety-nine cents can go a long way toward giving someone a hot meal or a sleeping bag, especially now, in the heart of winter. Everyone associated with The Bridge Bunch works nonstop to serve the large number of people struggling in the Nashville area, and every penny of this goes to that very worthy cause. And the caliber of talent on this track makes it something truly special indeed!" We just released the "Ulterium Records Label Sampler 2013" digitally, for free. The sampler contains tracks from Theocracy, Darkwater, Sinbreed and Harmony to name a few. Thanks for your support, and enjoy! Ulterium Records are proud to announce the signing of the US melodic metal band WORLDVIEW to the label. Their debut album "The Chosen Few" will be released during spring 2014. More details will be announced during the coming months. The band-mates had always talked about at some point joining forces as they criss-crossed the country on tour with their earlier bands and finally the time has come and WORLDVIEW is ready to bring their unique blend of top-notch modern melodic metal with a message to the masses. Mildly technical, highly melodic, vocally harmonized, engaging, head pounding and fist pumping. Ulterium Records are proud to announce the release of a limited 12" vinyl edition of the classic ROB ROCK album "Rage of Creation". The edition includes an insert with lyrics as well as brand new liner notes and album history written by Rob Rock. The edition is strictly limited to 300 copies and features new artwork by Felipe Machado Franco [Blind Guardian, Rhapsody of Fire, Theocracy]. The release date is set to December 20th. The symphonic metal band Sleeping Romance have uploaded the track "The Promise Inside" to YouTube. The track comes off their up-coming debut album "Enlighten" that will be released on November 1st in Europe and December 3rd in North America through Ulterium Records. The self-titled debut album from the Athens, Georgia-based melodic metal band THEOCRACY will be re-released through Ulterium Records on November 15th in Europe and November 19th in North America. Ulterium Records will release a 12" double gatefold vinyl edition of the album, strictly limited to 500 copies worldwide. THEOCRACY drummer Shawn Benson recorded drums on all tracks, while nothing else was re-recorded. Matt Smith completely re-mixed the album, with the mastering handled by Mika Jussila [Stratovarius, Nightwish, Edguy]. The THEOCRACY debut album was originally released through MetalAges Records in 2003, and is currently very rare and hard to find. The third Signum Regis album entitled "Exodus" will be released on November 15th in Europe and December 3rd in North America through Ulterium Records. "Exodus" feat. guest vocals by Lance King [ex. Pyramaze, Balance of Power], Michael Vescera [Obsession, Animetal USA], Matt Smith [Theocracy], Daísa Munhoz [Vandroya, Soulspell], Eli Prinsen [Sacred Warrior, The Sacrificed], Samuel Nyman [Manimal], Thomas L.Winkler [Gloryhammer, Emerald], Göran Edman [ex. Yngwie Malmsteen, John Norum] and Mayo Petranin [Castaway]. The album was mastered by Tommy Hansen [Helloween, Jorn, Circus Maximus] and the artwork was created by Felipe Machado Franco [Blind Guardian, Rhapsody of Fire]. "Exodus" is a historical concept album about the Israelites who were enslaved in ancient Egypt. 04 - Let Us Go! Ulterium Records are proud to announce the signing of the symphonic metal band Sleeping Romance to the label. Their debut album "Enlighten" will be released November 1st in Europe and December 3rd in North America. "Enlighten" was mastered by Roberto Priori [Los Angeles, Danger Zone, Vision Divine] and the artwork was created by Felipe Machado Franco [Blind Guardian, Rhapsody of Fire, Iced Earth]. 30.08.2013 - SIGNUM REGIS: MORE VOCALISTS ANNOUNCED FOR "EXODUS"
The melodic metal band Signum Regis will release their third album "Exodus" later this fall through Ulterium Records. "Exodus" is an epic concept album that will feature different vocalists on each track. Already announced vocalists are Matt Smith [Theocracy], Michael Vescera [Obsession, Animetal USA, ex. Yngwie Malmsteen], Thomas Winkler [Gloryhammer, Emerald] and Göran Edman [ex. Yngwie Malmsteen, John Norum]. To that list we're now proud to add Lance King [ex. Pyramaze, Balance of Power] and Daísa Munhoz [Vandroya, Soulspell]. More guests will be announced soon, as well as release dates, artwork etc. The debut album from the Athens, Georgia-based melodic metal band THEOCRACY will be re-released through Ulterium Records during fall 2013. Theocracy drummer Shawn Benson recorded the drums for the re-release, Matt Smith did the album re-mix and the mastering was handled by Mika Jussila [Stratovarius, Nightwish, Edguy]. Release dates will be announced soon. The THEOCRACY debut album was originally released through MetalAges Records in 2003, and is currently very rare and hard to find. Ulterium Records are proud to announce the signing of the melodic metal band Signum Regis to the label. With their two previous albums "The Eyes Of Power" (2010) and "Signum Regis" (2008) they established themselves as highly respected band in the scene, especially with the diverse concept album "The Eyes Of Power" that received great reviews from around the world. The singer on these two albums were no other than Göran Edman, known for his work with Yngwie Malmsteen, John Norum and many more. Signum Regis are currently putting the finishing touches to their third album entitled "Exodus"; a concept album that will be released later this year. The difference between this album and the previous albums is that Signum Regis won't be fronted by one singer, but each track will feature different singers. Confirmed so far are Matt Smith [Theocracy], Michael Vescera [Obsession, Animetal USA, ex. Yngwie Malmsteen], Thomas Winkler [Gloryhammer, Emerald] and Göran Edman [ex. Yngwie Malmsteen, John Norum]. More singers will be announced later on, as well as release dates, artwork etc. The Swedish female fronted melodic metal band END OF SEPTEMBER have just released a digital single for the track "Left In This World". "Left In This World" comes off their self-titled debut album that was released in Europe and North America last year through Ulterium Records. The digital single also includes the bonus track "Left In This World (Acoustic version)". The debut album from the Athens, Georgia-based melodic metal band THEOCRACY will be re-released through Ulterium Records. Check out a video update below where THEOCRACY vocalist Matt Smith explains the band's approach to the re-mix, and shares his thoughts on the album in general. The THEOCRACY debut album was originally released through MetalAges Records in 2003, and is currently very rare and hard to find. No release date is set for the re-release yet, but more information and updates will follow. The Athens, Georgia-based melodic metal band THEOCRACY have released the music video for the track "Hide in the Fairytale" online. The track comes off the bands latest album "As The World Bleeds". The video was recorded in Orlando, FL under the talented eye of producer Dan Drescher. The latest Theocracy album "As The World Bleeds" was released in Europe on November 25th through Ulterium Records, in North America on November 21st through Nightmare Records and in Japan on April 25th through King Records. "As The World Bleeds" debuted at #40 in the Billboard Heatseekers Chart during the first week of release. The Swedish melodic metal band Harmony are looking for a new vocalist, and you'll find information on how to apply below. Henrik Båth [vocals] and Magnus Holmberg [keyboards] left Harmony a while back to focus solely on Darkwater, where Harmony guitarist Markus Sigfridsson and drummer Tobias Enbert also are members. Harmony released their debut album "Dreaming Awake" through Massacre Records in 2003 and their latest album "Chapter II: Aftermath" through Ulterium Records in 2008. The band is now ready to hit the studio to record their third album, and will begin to record it this fall. If you want to become the new vocalist of Harmony and think you've got what it takes then download the file below that contains the track "Kingdom", record yourself singing the track and send it in mp3 format to newharmonyvocalist@ulterium-records.com together witha a photo and short bio. The debut album from the Athens, Georgia-based melodic metal band THEOCRACY will be re-released through Ulterium Records. The album was originally released through Metal Ages Records in 2003, and is nowadays very rare and hard to find. No release date is set for the re-release yet, but more information and updates will follow. "A lot of people ask us how to get the debut Theocracy album, which is long out of print. Well, you won't have to wait much longer, because it's going to be re-released through Ulterium Records! We went through a lot of discussion about how much we wanted to rework it: Do we re-record the whole thing with the new lineup? Do we just release it as-is? There were a lot of ways we could go, but ultimately we decided that people love that album and it's a snapshot in time, so we didn't want to completely redo something people are attached to. We'd rather present the best-sounding version we can of what's already there, with one change that seemingly everyone wants to hear: real drums! Shawn's going to record drums to the tracks that are already there, and then I'm going to remix it, so it should be killer. Right now I'm going through the tracks and trying to get everything organized and usable (some of those recordings were really bad! ), and soon we'll be ready for Shawn to lay down the drum tracks. Keep checking in, and we'll keep you posted as it unfolds!" 23.05.2012 - END OF SEPTEMBER: DEBUT ALBUM OUT NOW! The self-titled debut album from the Swedish female fronted melodic metal band END OF SEPTEMBER is now available in Europe and North America! You can order it from our store or get it from your favourite physical or digital store. The album is receiving fantastic feedback from around the world, and we can't wait to see what the future might hold for End of September! The Swedish female fronted melodic metal band END OF SEPTEMBER have released the music video for the track "Isolated" online. The track is also available as a digital single. "Isolated" is the opening track from the self titled debut album from End of September that will be released on May 11th in Europe and on May 22nd in North America, through Ulterium Records. The Swedish female fronted melodic metal band END OF SEPTEMBER will have a digital single out for the track "Isolated" on April 11th. "Isolated" is the opening track from their self titled debut album that will be released on May 11th in Europe and on May 22nd in North America, through Ulterium Records. A music video for "Isolated" was recorded in Gothenburg with 11Frames Productions earlier this year, and it will be released online during the coming weeks. Ulterium Records are proud to announce the signing of the Swedish female fronted melodic metal band END OF SEPTEMBER to the label. Their self-titled debut album will be released on May 11th in Europe and on May 22nd in North America. END OF SEPTEMBER is definitely one of the most promising bands from Scandinavia at the moment. This young band shows with their debut album that they know how to create fantastic, memorable songs, and perform them to perfection. They have also been able to successfully create a mix between melodic metal and more modern metal that not many bands have. With the well-crafted and intelligent song-writing of Erik Tordsson and the smooth and emotional vocals of Elin Redin, End of September is a force to be reckoned with during the coming years. The band is hungry to hit the stages around the world, and are destined to make it. The Japanese label King Records will release the Theocracy album "As The World Bleeds" in Japan on April 25th. The Japanese edition will include two bonus tracks; "I'm in a Cage [Neal Morse cover]" and "Martyr [Live in the Studio]". It's christmas time, and definitely time for an update from the Ulterium Records camp! First of all, we've having a christmas sale in our store during the coming days, just click the "Shop" link in the menu and check it out! Enter the discount code "SANTAHEARTPOWERMETAL" when checking out, and you'll get a 20% discount off your order! The new Theocracy album "As The World Bleeds" that was released a month ago is a huge hit so far! The album has received fantastic reviews from around the world, and entered the Billboard Heatseekers Chart in the US at #40. Don't miss out on this great album! We've already got some nice plans for 2012, and we'll let you know as soon we have more information and release dates nailed down. Thanks for your great support during 2012! Merry christmas to all of you, and a happy new year as well! 24.11.2011 - THEOCRACY: "AS THE WORLD BLEEDS" OUT NOW! The new Theocracy album "As The World Bleeds" was released in North America a few days ago, and tomorrow the album is available in Europe as well. The response from fans and press around the world is overwhelming, don't miss out on this great album! The Athens, Georgia-based melodic metal band THEOCRACY will release the digital single "30 Pieces of Silver" on October 20th. The track comes off their up-coming album "As The World Bleeds" that will be released on November 25th in Europe through Ulterium Records and on November 21st in North America through Nightmare Records. The album will also be released as a double gatefold vinyl edition, strictly limited to 500 copies worldwide. Theocracy is heading to Europe for an eight date headliner tour starting October 21st that will take them through Holland, Germany, Switzerland, Slovakia and Czech Republic. The Athens, Georgia-based melodic metal band THEOCRACY will release their new album "As The World Bleeds" on November 25th in Europe through Ulterium Records and on November 21st in North America through Nightmare Records. The album will also be released as a double gatefold vinyl edition, strictly limited to 500 copies worldwide. The German power metal band SINBREED have announced the first live shows since the release of their debut album "When Worlds Collide" in March last year. More tour dates are in the works and will be announced as they are confirmed. Marcus Siepen [Blind Guardian] is joining Sinbreed on these shows as the bands second guitar player. Ulterium Records are proud to announce the release of a limited digibook edition of the THEOCRACY album "Mirror of Souls", as well as a 7" vinyl single of the bands classic bonus track "Wages of Sin". - The classic THEOCRACY bonus track "Wages of Sin"
The track "Wages of Sin" will also be released as a digital single. THEOCRACY received fantastic response and reviews around the world when "Mirror of Souls" was originally released in November 2008. Since then Theocracy has toured Europe twice, and performed in the US with Sonata Arctica, Blind Guardian among others. THEOCRACY are currently in the studio putting the finishing touches to their third album, and also preparing for their up-coming European tour that will take place in October. Ulterium Records are proud to announce the digital release of the classic SEVENTH AVENUE album "Tales of Tales". The album was originally released in 1996, and is considered a cult classic in the scene. "Tales of Tales" is released digitally worldwide today [August 31st], and is available at places like iTunes, Amazon, Rhapsody and Spotify. Ulterium Records are proud to announce the reissues of the classic KREYSON albums "Angel on the run" and "Crusaders". The heavy metal band KREYSON from Czech Republic released the albums in 1990 and 1992 and both were certified gold in their home country. "Angel on the run" was produced by Rolf Kasparek [Running Wild]. The re-issues will be released on August 5th through Ulterium Records and they both feature new artwork by Felipe Machado Franco [Blind Guardian, Rhapsody of Fire, Iced Earth]. So it's time for a Christmas update from Ulterium Records! 2010 is coming to an end and we're very happy about the past year, and for all the great support from all of you out there! We've already got plenty of releases and projects planned for 2011, so it looks like there will be another busy year in the Ulterium Records camp. New albums from Theocracy, Harmony and Incrave should see the light of the day, as well as some exciting new signings and some interesting re-issues. We can't wait to start to announce them all! At last we don't want you to miss out on the brand new Theocracy Christmas single called "All I Want For Christmas". It's available at iTunes, youtube and at www.theocracymusic.com in the "Club of Souls" section. Click HERE to check out the track at youtube. We want to thank you all for your support during 2010! Merry Christmas and a happy new year to you all! 08.12.2010 - ULTERIUM RECORDS STORE: CHRISTMAS SALE! During the coming two weeks we'll offer you a 15% christmas discount on all items in the Ulterium Records Store! Click the link "Shop" in the menu to visit the store, and enter the discount code "SANTALOVESPOWERMETAL" when you check out. Thanks for all your support! 19.11.2010 - DARKWATER: "WHERE STORIES END" RELEASED! The new album from the Swedish progressive metal masters Darkwater "Where Stories End" is finally here! On November 12th it was released in Europe, and next week on November 23rd it will be released in North America! The press reactions to "Where Stories End" has been outstanding, and great reviews are coming in every day. Don't miss out on this great release, click "SHOP" in the menu to order your copy today! The Swedish melodic progressive metal band DARKWATER have released the music video for the track "Breathe"" online. "Breathe" is the opening track off their up-coming album "Where Stories End" which will be released in Europe on November 12th by Ulterium Records and in North America on November 23rd by Nightmare Records. "Breathe" was directed by Radionika AB, Dino Medanhodzic and Joacim Hammarström. The girl in the video is played by Angelica Lewenhagen. Click HERE to check out a brand new promo video of "Where Stories End", the up-coming Darkwater album. Release dates for "Where Stories End" is set to November 12th for Europe, and November 23rd for North America. Next week the music video of the opening track "Breathe" will be posted, so keep your eyes open! Ulterium Records will release a limited 12" picture disc edition of the INNERWISH album "No Turning Back". The edition will be strictly limited to 250 copies, and the release date is set to November 12th. 02.09.2010 - DARKWATER: NEW ALBUM "WHERE STORIES END" ANNOUNCED! The Swedish progressive metal band Darkwater will release their new album "Where Stories End" November 12th in Europe through Ulterium Records and November 23rd in North America through Nightmare Records. "Where Stories End" is the follow-up album to the bands successful debut album "Calling the earth to witness" that was released 2007 and gained excellent reviews around the world. Henrik Båth of Darkwater comments; "We're really excited to finally present "Where Stories End" to all of you. We feel that we've created something special with this album, and I personally think that we've improved everything since "Calling the earth to witness". We hope you'll enjoy it! We got some shows coming up for the fall, and we hope to see many of you on the road during the coming year. Thanks for your patience and support!" The mixing of the album was handled by Fredrik Nordström and Henrik Udd at Studio Fredman [In Flames, Dimmu Borgir, Hammerfall]. 28.05.2010 - INNERWISH: "NO TURNING BACK" OUT NOW! 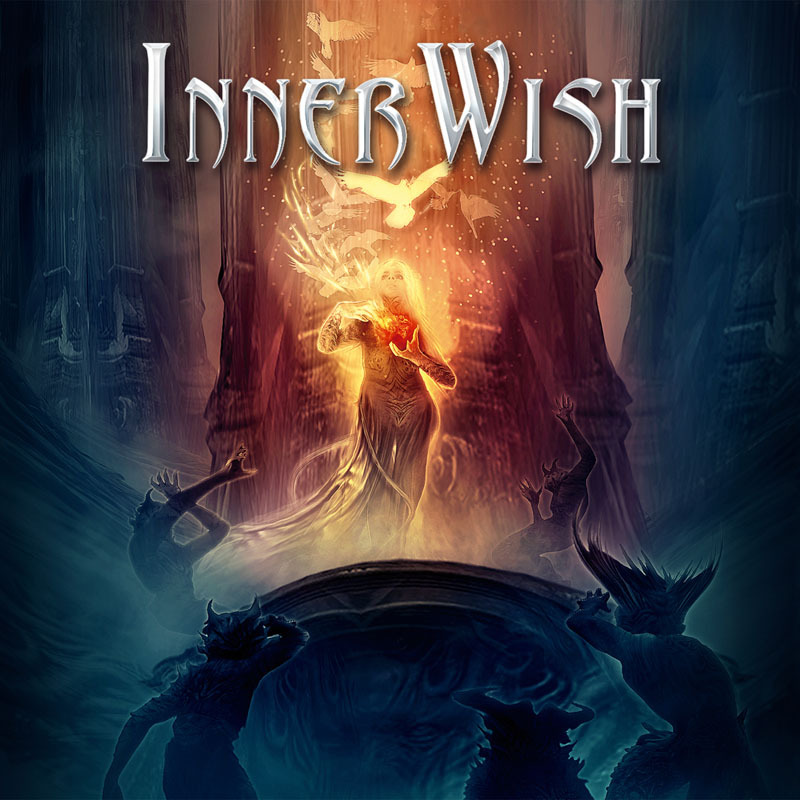 The new album by the Greek melodic power metal band Innerwish is released today in Europe and North America! Drop by your favourite physical or digital store and get it, you won't regret it! The Greek melodic power metal band INNERWISH have released their video for the track "Burning Desires" online. The track comes off their up-coming album "No Turning Back" which will be released in Europe and North America on May 28rd through Ulterium Records. "Burning Desires" was directed by Bob Katsionis [Firewind]. The Swedish melodic metal band AUDIOVISION have released their video for the track "Keep the fire burning" online. The track comes off their brand new album "Focus" which was be released in Europe and North America on April 23rd through Ulterium Records. This is the second video from "Focus", and it was directed by Ronny Hemlin [Scar Symmetry, Steel Attack] who also directed the first video "Invitation". Finally we've updated our website properly about the up-coming releases and newly signed artists. Browse around and check it out! Audiovision: Today marks the release of the second Audiovision album "Focus" in Europe and North America! It's also available through the Ulterium Records Store, so go pick up a copy if you haven't! In a few weeks we'll also release the second video from the album, off the track "Keep the fire burning". Darkwater: Is currently recording their second album! Mixing is booked for the summer and will be handled by Fredrik Nordström [In Flames, At the gates, Hammerfall], and the album will be released during the fall. Sinbreed: The debut album "When Worlds Collide" is released in Europe, North America and Japan, and the response has been really great! In the last issue of Rock Hard Germany "When Worlds Collide" received 8/10 and reached spot nr.12/60 in the Soundcheck! Innerwish: The new album "No turning back" will be released May 28th! The band is confirmed for the Brainstorm Festival in Holland for the fall, and also more touring is in the works. During May we'll release the video for the track "Burning Desires" off the album, directed by Bob Katsionis [Firewind]. Theocracy: Is working on their third album, that we hope to release during 2010! April 30th the band will support Sonata Arctica at the Masquerade in Atlanta, GA. Thanks for your support, have a great weekend! The Swedish progressive metal band Darkwater will start recording their second album next week. Joining them on the album is Simon Andersson [ex. Pain of Salvation] on bass. The yet untitled album will be mixed this summer by Fredrik Nordström [At the Gates, In Flames, Dimmu Borgir] at Studio Fredman, and is planned for a fall 2010 release through Ulterium Records. Henrik Båth of Darkwater comments: "We're thrilled and eager to head into the studio and record our second album. Our debut album was received so much better than we could have hoped for, but still we feel that we can top it. We've got some great material ready to be recorded, and with the addition of Simon Andersson on bass as well as Fredrik Nordström for the mixing of the album everything feels right. We're definitely ready to take everything to the next level with this release." The debut album from Darkwater; "Calling the earth to witness" was released 2007 and received excellent feedback from around the world, and among other things resulted in a show at the Bay Area Rock Festival in San Francisco, CA together with Liquid Tension Experiment in 2008. The Swedish melodic metal band AUDIOVISION have released their video for the track "Invitation" online. The track comes off their up-coming album "Focus" which will be released in Europe and North America on April 23rd through Ulterium Records. The video is directed by Ronny Hemlin [Scar Symmetry, Steel Attack]. Ulterium Records are very proud to announce the signing of the Greek melodic power metal band Innerwish to the label. The bands new album "No turning back" will be released May 28th in Europe and North America. The mixing of the album was done by Fredrik Nordström [In Flames, Hammerfall, Dimmu Borgir] at Studio Fredman, and mastering was handled by Mika Jussila [Nightwish, Children of Bodom, Stratovarius] at Finnvox Studios. Innerwish are confirmed to perform at this year's edition of Brainstorm Festival [www.brainstormfestival.com] in Apeldoorn, Netherlands, and a tour of Greece is planned for early June. The German power metal band SINBREED have released their video for the track "Dust to Dust" online. The track comes off their debut album, "When Worlds Collide" which will be released in Japan March 24th, Europe March 26th and in North America April 6th. The debut album "When Worlds Collide" by the German power metal band Sinbreed will be released in Japan by King Records, and the release date is set to March 24th. The Japanese version of the CD will contain the exclusive bonus track "Ride on". The Swedish melodic metal band Audiovision will release their second album "Focus" in Europe and North America on April 23rd through Ulterium Records. The album was produced and mixed by Erik Mårtensson [W.E.T., Eclipse] and mastered by Micke Lind [DIO, Candlemass, Talisman]. "Focus" is a high quality melodic metal release influenced by bands like Whitesnake, DIO, Rainbow, Europe, Gotthard and Stryper, and fans of the genre won't be dissapointed! The official release party for "Focus" will be held at The Cave Rock Club in Sundbyberg, Sweden on April 24th together with the bands House of Shakira and Mercury Fang. Ulterium Records will release a limited 12" picture disc edition of the SINBREED debut album "When Worlds Collide". The edition will be strictly limited to 250 copies, and the release date is set to March 26th. Ulterium Records [Sweden] and Nightmare Records [US] have inked a deal for the North American release of the SINBREED debut album "When Worlds Collide". The album will be released in Europe on March 26th, and the North American release date is set to April 6th. Ulterium Records are very proud to announce the signing of the Swedish melodic metal band AUDIOVISION to the label. The bands new album "Focus" will be released later this spring, release dates and more information will be announced within the coming weeks. The two up-coming singles from "Focus"; "Invitation" and "Keep the fire burning" will be performed for the very first time at these shows. Ulterium Records will release the debut album "When Worlds Collide" by German power metal band SINBREED on March 26th for the European market. Release dates for Japan and North America will be announced shortly. Sinbreed is the project around 27 year old Guitarist Flo Laurin who joined forces with dedicated artists of the European metal scene. The blistering combination of speed, melodic and aggressive arrangements combined with high and soaring vocals characterizes Sinbreed's distinctive Power metal. "When Worlds Collide" was mixed and mastered by Markus Teske [Symphony X, Vanden Plas] and the artwork was created by Felipe Machado Franco [Iced Earth, Ayreon]. Guests on the album includes Thomas Rettke [RedKey, ex. Heaven's Gate], Joost van den Broek [Ayreon, Star One] and Morten Sandager [Pretty Maids]. At the bands myspace profile you can listen to the entire opening track "Newborn Tomorrow", clips of three other tracks from the album and check out the album cover artwork. Christmas is here, and we thought it was time to give you an update on what's going on in the Ulterium Records camp! The Sinbreed debut album is ready, and will be released early 2010. We got the master the other day, and WOW! This release will blow you away! We'll announce release dates etc. during the first weeks of January. We've also signed some new bands for releases during 2010, some of them will be announced during January/early February and will be out in April/May. Ulterium Records artists like Theocracy, Darkwater and Harmony are all working on new albums, and if all goes well, all of them will be released fall 2010. On top of this we also got some re-releases planned, so 2010 is going to be a year full of great melodic metal releases! Thanks for your support during 2009! We wish you all a merry christmas, and a happy new year! During December we'll have special christmas prices at the Ulterium Records Store. Almost all prices are down a few bucks, so make sure you check it out! Ulterium Records are proud to announce the release of a limited 12" picture-disc edition of the latest STRYPER album "Murder by pride" for the European market. A deal was inked with the Italian label Frontiers Records and the release date is set to December 4th. The LP will be strictly limited to 500 copies, and comes with a full color poster inlay. It's time for an update from the Ulterium Records camp! We're currently putting the finishing touches to an up-coming release that we hope to release this December. It's a limited edition picture disc release with a legendary band. We're really thrilled about this, and we hope to have some official news for you soon! Theocracy, Darkwater and Harmony are preparing to enter the studio later this year, and should all have new releases out during 2010. Sinbreed is also in studio right now recording at full speed, and their debut album will be released early 2010. During the coming months we'll also bring you news regarding some new re-releases that we're very excited about. We are also currently talking to some very interesting bands about possible co-operations, so it looks like 2010 will be a year with many high-quality releases from us. Thank you all for your support, we'll be back soon with more news! We´ve understood that a lot of people are curious and would like an update on what is going on with Darkwater at the moment. It´s now been a while since we released our first album and we quite recently parted with our bass player. So what is really happening in the dark waters? Regarding the bass player spot, we have auditioned several people but still haven´t found exactly what we are looking for. We will keep looking until we find the perfect match. In the meantime we will use Simon Andersson (ex-Pain of Salvation) as a session player. He is an amazing bass player with lots of experience, and a better substitute would probably be impossible to find. And what is happening with the new album? For quite some time we´ve gone through all the music we´ve had laying around, re-written a lot of it and written a bunch of new songs. So right now we have far too many songs to put on one album, or even ten albums. But we are doing our best to choose the most fitting songs for this up-coming album. We still have a lot of lyrics to write and also some melodies, but we are planning to head into the recording studios later this year. So some time next year there will be a new Darkwater album out for you to enjoy. Thank for your support, and patience! For more information on the shows, please visit the THEOCRACY myspace profile. Shows for the remaining dates, as well as venues for some of the confirmed shows will be announced during the coming weeks. 13.08.2009 - ULTERIUM RECORDS STORE: BIG SALE! In September it's three years ago since the Ulterium Records website was uploaded and the first Ulterium Records release was released. To celebrate this, we'll have a big sale until September 1st in the Ulterium Records Store. If you enter the discount code "proggish" while making a purchase, you'll get 10% off all items in our store. AND if you buy 3 or more items at once, you'll get another 10% off the most expensive CD [not t-shirt, vinyl etc.] you bought. Too good to miss out on? [the last 10% discount will be refunded once the order is shipped]. On top of this, we've also lowered some of the prices in the store. So click "Shop" in the menu, and check it out! Ulterium Records are very proud to announce the signing of the German power metal band Sinbreed to the label. The band is currently working on their debut album, which will be released early 2010. Visit the bands myspace profile to check out some pre-production clips, or youtube to check out some footage from the studio. The Swedish melodic metal band HARMONY have posted their brand new video for the track "Prevail" online. The track is taken from the album "Chapter II: Aftermath" [Ulterium Records/King Records] released last fall. The US melodic metal band THEOCRACY will visit Europe for a tour this fall, you can see the first announced dates below. The band just returned from their first show ever in Europe at the Elements of Rock festival in Switzerland. Ulterium Records will release a limited-edition 12" picture-disc edition of the new IMPELLITTERI album "Wicked Maiden" on August 4th. A deal was inked with the German label Metal Heaven that released the album in Europe on April 24th. The LP will be strictly limited to 250 copies. The debut album from the Swedish progressive metal band Darkwater; "Calling the earth to witness" was released in May two years ago by Ulterium Records. To celebrate this, the entire album will be available for streaming at the bands myspace profile during May. Darkwater is currently working on new material for the follow-up album to "Calling the earth to witness", and the band is planning to start recording later this year. Hey everyone, Spring has sprung! The snow has melted, and the sun's coming out. And with that, we thought it was time to give you all an update on what's going on in the Ulterium Records camp. Currently, we've set our sights on getting another classic out-of-print album re-released. We're working like madmen to get everything arranged within the coming weeks, and hopefully release it this Summer. Keep your ears to the ground to find out which album it's going to be...or even easier, stay posted right here. We are also very excited to have just signed a new band that we hope to announce sometime during the coming weeks. The band is, as we speak, feverishly constructing their debut album, and we at Ulterium Records are very thrilled about being a part of this great new release. Stay tuned for more info. February 25th; "Chapter II: Aftermath" was released in Japan by King Records. The reception for the album so far has been overwhelming. The Japanese magazine, "Burrn!" gave the album a score of 87/100, and also did a big interview with Markus Sigfridsson. During the coming weeks, Harmony will film a music video for the track "Prevail", we'll keep you updated on that. April 3rd; We released the limited edition picture disc version of "Mirror of Souls" [see more details below]. This sweet thing can be purchased from our store, so check it out. We've also got some show offers from Europe that might result in a Theocracy European Tour, this Fall. If you're interested in booking Theocracy for a show, just get in touch with us. In other news: Theocracy, Harmony, Darkwater, Incrave, Ivory Moon and Grand Lux are currently writing songs for their up-coming releases. That's all for now. Thanks for your support! Ulterium Records will release a limited edition 12" picture disc edition of the Theocracy album "Mirror of Souls". The LP will be strictly limited to 250 copies, and the release date is set to April 3rd. The first Theocracy shows in support of "Mirror of Souls" has been announced. More dates will be revealed soon.. The new album "Chapter II: Aftermath" by the Swedish melodic metal band Harmony will be released in Japan by King Records. The release date is set to February 25th. The Japanese version of the CD will contain the bonus tracks "Alone" and "End of my road (Acoustic version). Theocracy is proud to welcome Val Allen Wood as their new lead guitarist! Val is an amazing talent, and will be taking over the guitar duties along with Jon, allowing Matt to step fully into the vocalist/frontman role. The band is very excited about this development, and the new lineup will be hitting stages in the U.S. and Europe soon! Today the classic "Southgate" album by Seventh Avenue is finally re-released! You can get the album from distro's around the world, or from the Ulterium Records Store. The album is also available at ITunes and other places that sell digital downloads. For samples from "Southgate", please visit the Ulterium Records Myspace Profile. 15.01.2009 - HAPPY NEW YEAR! We want to take the opportunity to wish you all a happy new year! 2008 was a great year for sure, but we think 2009 will be even better! The Seventh Avenue re-release "Southgate" will be released friday next week, but you can get it from our shop already now! Both new albums with Theocracy and Harmony have received outstanding reviews and feedback from all over the world, if you haven't checked those album out yet, please do! And actually all Ulterium bands are somehow working on new albums right now, exciting! That's all for now, we'll be back soon with more news! 19.12.2008 - THEOCRACY: NEW CHRISTMAS TRACK! 31.10.2008 - HARMONY: "CHAPTER II: AFTERMATH" RELEASED IN EUROPE! Today the new Harmony album "Chapter II: Aftermath" is released in Europe! Go get it at your favourite music shop, or order it through us by clicking "Shop" in the menu. The first reviews of the album have been posted, looks really great! The re-issue of the Harmony debut album "Dreaming Awake" is released today as well. The Swedish melodic metal band HARMONY will have their debut album "Dreaming Awake" re-released by Ulterium Records this fall. "Dreaming Awake" was released by Massacre Records 2003, and received fantastic response around the world. The album has been out of print and very hard to get ahold of for the last years. October 31st "Dreaming Awake" will be released by Ulterium Records, at the same time as the band's new album "Chapter II: Aftermath" will be released in Europe. The new Theocracy album "Mirror of Souls" will be released in Europe November 21st by Ulterium Records. Sound Pollution will handle the distribution in Sweden, Indie Distribution in Norway, and Metal Heaven in the rest of Europe. "Mirror of Souls" is available for pre-ordering through the Ulterium Records Store. Press "shop" in the menu to check it out. Ulterium Records [Sweden] and Nightmare Records [U.S.] have inked a deal for the North American release of the new Theocracy album "Mirror of Souls". The album will be released in Japan November 25th, and the North American release date is set to December 9th. Mirror of Souls was produced and mixed by Matt Smith and mastered by Mika Jussila [Nightwish, Stratovarius, Children of Bodom]. The cover was designed by Robert Wilson, and the booklet was designed by Felipe Machado Franco [Iced Earth, Ayreon, At Vance]. Ulterium Records [Sweden] and Nightmare Records [U.S.] have inked a deal for the North American release of the new Harmony album "Chapter II: Aftermath". The album will be released in Europe October 31st, and in North America November 25th. "Chapter II: Aftermath" is mixed by Pelle Saether [A.C.T, Darkwater] and guests on the album includes Daniel Heiman [ex. Lost Horizon, Heed] and Kristoffer Gildenlöw [ex. Pain of Salvation]. The new Theocracy album “Mirror of souls” will be released November 26th in Japan by Soundholic Records. The Japanese version will contain the bonus track “Wages of sin”, exclusive for this release. Release dates for Europe and North America will be announced soon. “Mirror of souls” was mastered by Mika Jussila [Nightwish, Stratovarius, Children of Bodom] and the booklet design was created by Felipe Machado Franco [Iced Earth, Ayreon, At Vance]. The new Harmony album “Chapter II: Aftermath” will be released in Europe October 31st. Release dates for North America and Japan will be announced within the coming weeks. The album is mixed by Pelle Saether [A.C.T, Darkwater] in Studio Underground, and mastered by Göran Finnberg [In Flames, The Haunted, Dark Tranquillity] at The Mastering Room. Daniel Heiman [ex. Lost Horizon, Heed] is doing guest vocals on the track “Inner peace”, and Kristoffer Gildenlöw [Dial, ex. Pain of Salvation] handles the bass during the entire album. "Chapter II: Aftermath" is available for pre-ordering at the Ulterium Records Store. 11.08.2008 - HARMONY: "END OF MY ROAD" EP RELEASED! Today the new Harmony EP "End of my road" is released! Get it over at the Ulterium Records Store [ulteriumstore.bigcartel.com] or digitally at ITunes. So many things are going on right now, so we thought it was time to give you all an update. The new Incrave album "Dead End" is now released in Japan through Soundholic, and this is the start of what we believe to be a great co-operation with Soundholic. Since they are concentrating on The same type of melodic metal as we are, and are a very established label, we feel very honored in working together with them. The new Harmony EP "End of my road" will be released August 11th, and can be pre-ordered through our webshop. We're also currently finalizing the release of the full-lenght album "Chapter II: Aftermath", and we'll make the release dates official very soon. The up-coming Theocracy album "Mirror of souls" has just been mastered by Mika Jussila at Finnvox Studios in Finland, and the result is really great! The last pieces of the artwork is being put together right now, so we'll soon post release dates of this great album aswell. We're also working hard at re-releasing the first [and long out-of-print] Harmony album "Dreaming awake", a release should see the light of the day late fall. That's all for now, thanks for your support! The Swedish melodic metal band Harmony will release their new EP “End of my road” through Ulterium Records on August 11th. The EP will contain three songs from their upcoming album “Chapter II: Aftermath”, coming this fall, as well as two exclusive tracks for this release. "End of my road" is available for pre-ordering at the Ulterium Records Store. Pre-order now, and get the album on the release date! Ulterium Records are very proud to announce the signing of the Swedish melodic metal band Harmony to the label. Their sophomore album “Chapter II: Aftermath” will be released fall 2008, and will be preceded by the EP “End of my road”. Release dates and track listings will be announced within the coming weeks. The album is mixed by Pelle Saether [ACT, Skyfire] in Studio Underground, and mastered by Göran Finnberg [In Flames, The Haunted, Dark Tranquillity] at The Mastering Room. Daniel Heiman [Heed, ex. Lost Horizon] is doing guest vocals on the track “Inner peace”, and Kristoffer Gildenlöw [Dial, ex. Pain of salvation] handles the bass during the entire album. Ulterium Records are very proud to announce the signing of the US melodic metal band Theocracy for the release of their sophomore album, Mirror of Souls. The material on Mirror of Souls expands on the epic, melodic Metal style that Theocracy introduced on the self-titled debut album, and the addition of drummer Shawn Benson and guitarist Jon Hinds has added a new dimension and energy to the sound. Mirror of Souls is being mastered by Mika Jussila at Finnvox Studios, and the cover art was designed by Invisible Creature. Look for a full song to be posted online in the coming weeks, and for the album to be released in early fall 2008! The response on the latest Incrave album "Dead End" have been amazing so far! May 13th it was released in the US [distributed by Nightmare Records], and July 23th it will be released in Japan by Soundholic Records [www.soundholic.net]. This summer Incrave will start the touring of "Dead End", and so far shows in Sweden, Norway and Germany are confirmed. 25.04.2008 - INCRAVE: "Dead End" out now! The new Incrave album "Dead End" is now released! Go pick it up at your favourite record store! The first reviews has been posted, and the scores look great so far! 24.04.2008 - DARKWATER: "The play - II" video posted! The Swedish heavy-/power metal band INCRAVE will release the new single “The forgotten” March 27th through Ulterium Records Sweden. "The forgotten" is taken from the up-coming album “Dead End”, out April 25th in Europe and May 13th in North America. 21.02.2008 - Ulterium Records Store Open! We are proud to present the opening of our own "Ulterium Records Store", filled with our releases, and some merchandise from our bands. Just click the "Shop" button in the menu and check it out! Ulterium Records [Sweden] and Nightmare Records [U.S.] have struck up a deal for the North American release of the “Dead End” album by the Swedish heavy-/power metal band INCRAVE. Nightmare Records will distribute the CD exclusively in North America. The release date it set for May 13th in both U.S. and Canada. The Swedish heavy-/power metal band INCRAVE will release their new album “Dead end” April 25th in Europe through Ulterium Records. The album will be distributed by Sound Pollution in Scandinavia, and by Metal Heaven in the rest of Europe. The North American release date will be announced within the coming weeks. “Dead end” is mixed and mastered by Per Ryberg [Tad Morose, Morgana Lefay, Bloodbound] and the album artwork is painted by Kristian Wåhlin [At the gates, Emperor, Therion etc.]. Guests on the album are Daniel Olsson [Tad Morose] and Markus Sigfridsson [Darkwater, Harmony, 7 days].